The Braque Français (literally translated French pointing dog) are hunting dogs, from a very old type of gun dog used for pointing the location of game birds for a hunter. 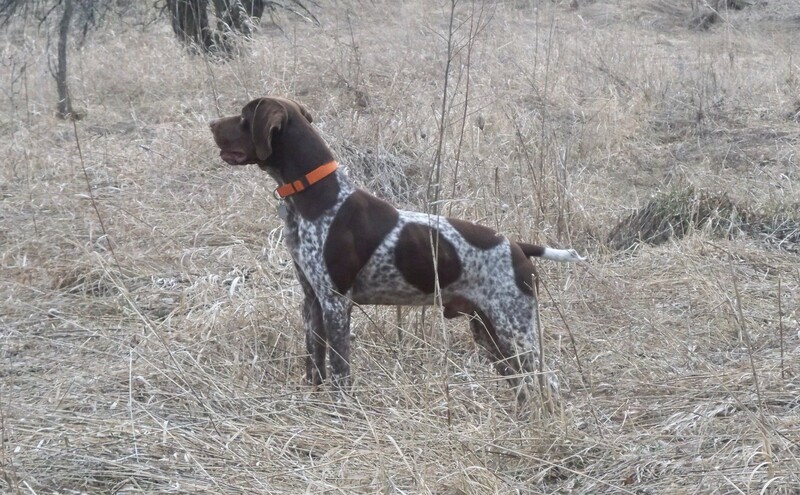 There are two breeds of Braque Français, both from the south of France, the Braque Français, type Gascogne, and the Braque Français, type Pyrénées They are popular hunting dogs in France, but are still considered rare in North America. The original Braque Français type of pointing dog has existed since the fifteenth century. Over the centuries the dogs were taken to other countries and were crossed with other breeds. When a search was made at the end of the nineteenth century to find the original dogs, two separate regional varieties were found. They may be descended from the Old Spanish Pointer and the now extinct Southern Hound. The first breed club was formed in 1850, and the standards for both breeds were written in 1880. It is recognized in its home country by the French Kennel Club (Société Centrale Canine, S.C.C) and internationally by the Fédération Cynologique Internaltionale (FCI). These clubs prohibit inbreeding or linebreeding and will not register any dog with common ancestors in the first three generations of its pedigree. Of the major kennel clubs in the English-speaking world, only the Canadian Kennel Club in Canada and the United Kennel Club in the U.S. recognize them. The breeds are also recognized by many minor registries, hunting clubs, and internet-based dog registry businesses under various versions of the names, and promoted as rare breeds for those seeking unique pets.